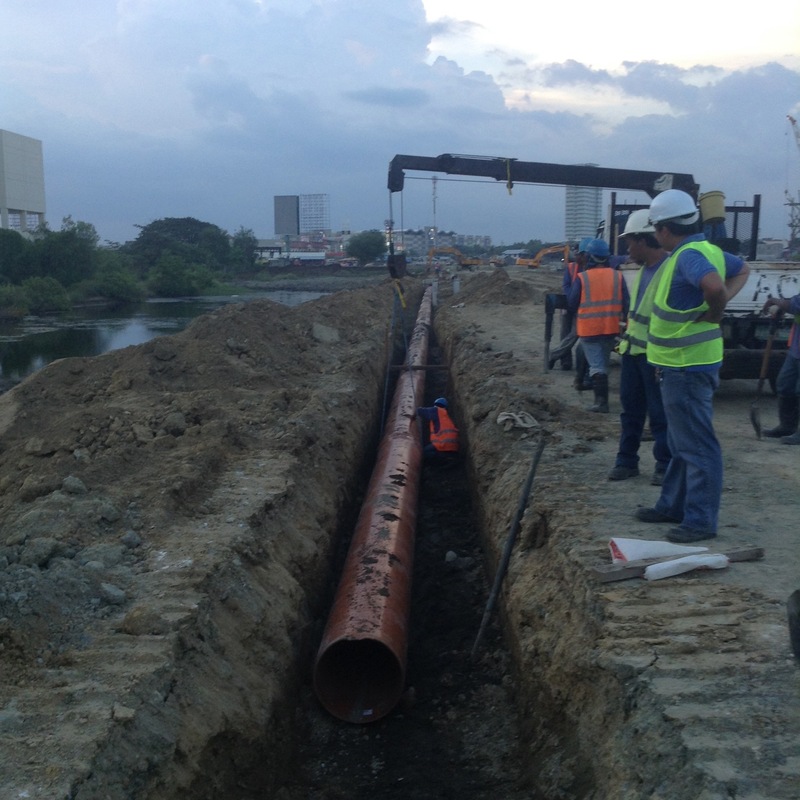 SEWERGUARD 500mm with Sewerlock seal’s breakthrough was the Sewerage Pipelining Project of Gaisano Mall in Ilo-Ilo City. Underneath a 16-hectar of the on-going mall construction are the pipelines that would convey clean water and waste water. The specification for the Sewerage Pipe is to have a system that is 100% Leak Free. This is to ensure that waste water will not contaminate the clean water. With this, the designer have chosen to use the SEWERGUARD 500mm with Sewerlock Seal, the gasket is Machine installed made of EDPM rubber homogenously bound to a stiff glass reinforced PP ring. One of the Insights of the project was the ease of installation of these pipes. At a rate, theinstallation was 9 pcs of 500mm per day which is equivalent to a half of a kilometer pipe laid. The Pipe laying was composed only of six man crew, this indicates that usage of SEWERGUARD 500mm pipe with Sewerlock Seal will not only expedite the installation it will also lower the manpower cost. NELTEX only aims to provide a better solution to improve the current system.